Visiting and exploring America’s Finest City was a dream come true. I went to San Diego a couple of times before. But both of my prior visits were quick stops without giving me time to tour the city and admire its great sights. This time we decided to spend a night in San Diego and explore as much as we could in short two days. First thing first, we had to find hotel located in a quiet, a little bit isolated area but still being a short distance away from the main attractions (or at least places on our itinerary). 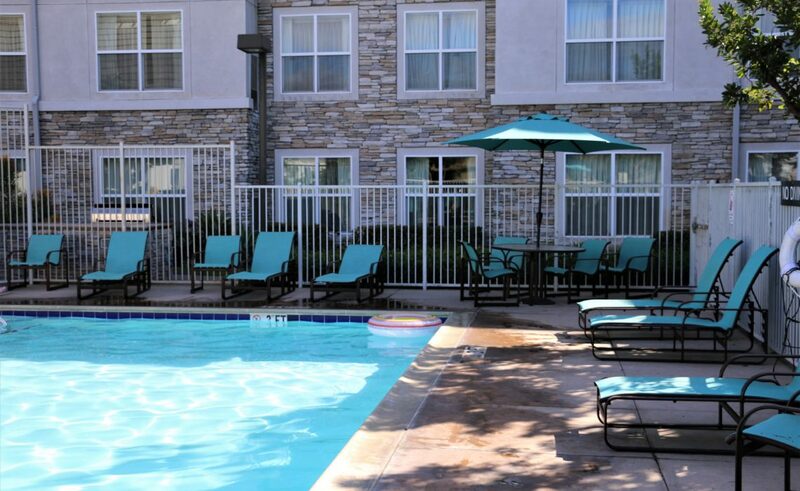 Residence Inn San Diego Rancho Bernardo became a perfect choice and completely suited our needs. Relatively new hotel (built in 2003 and renovated in 2011) with 95 suites raging from studio suites to one and two bedroom suites is a great pick for a family vacation. The interior as well the exterior of the hotel is designed in such a way that you feel like you are nowhere but home. Bright roomy lobby with a big TV in front of comfortable chairs and couches and cute dining tables was definitely one of my favorite areas in the hotel. 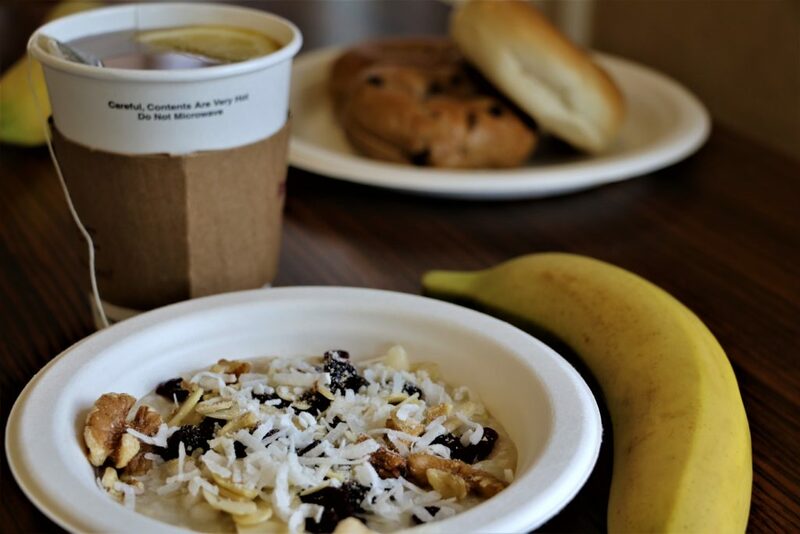 I am pretty sure that this decision was influenced to a great extent by complimentary breakfast buffet served there. My 6-year old niece, on the other hand, preferred outside of the hotel in particularly outdoor swimming pool area more than anything else. She was so eager to swim there that she didn’t even mind chilly morning weather. 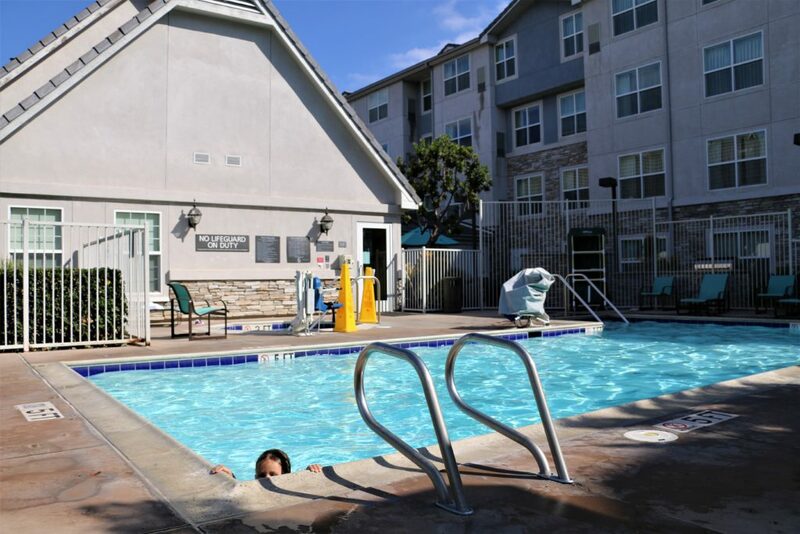 Although (I have to complement Residence Inn Rancho Bernardo on this) the water in the pool was heated. The only downside was temporary closed Jacuzzi. As much as we enjoyed the lobby and public areas of the hotel, we couldn’t wait to get to our rooms. 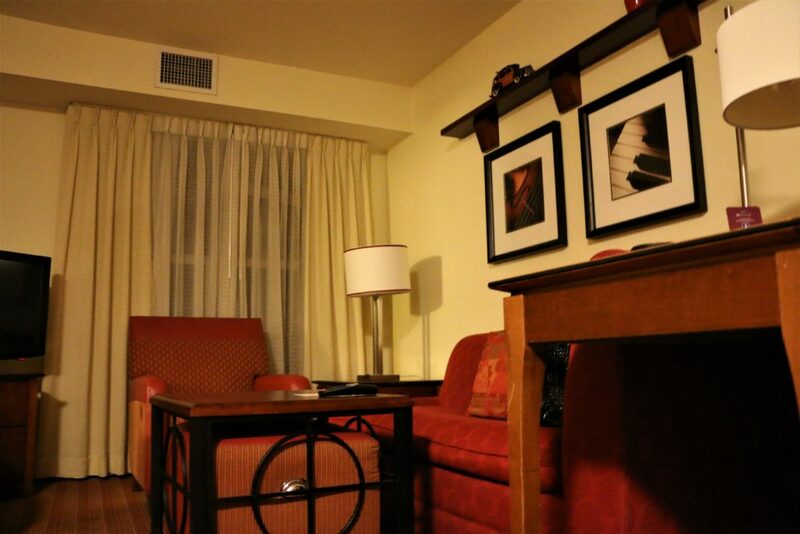 We checked into two one bedroom suites located on the first floor. Unfortunately, we didn’t get a nice view of the surrounding area, but the rooms themselves completely compensated this drawback. The suites were cozy and quite specious for hotels’ standards, with separate bedrooms, simple bathrooms, fully equipped kitchens and sitting areas with pull out couches. 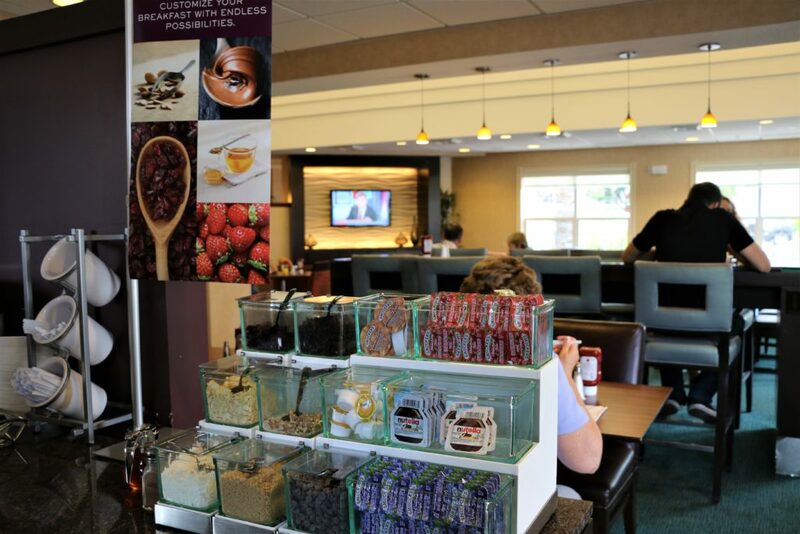 There is no doubts, these hotel rooms are great for short and extended stay. 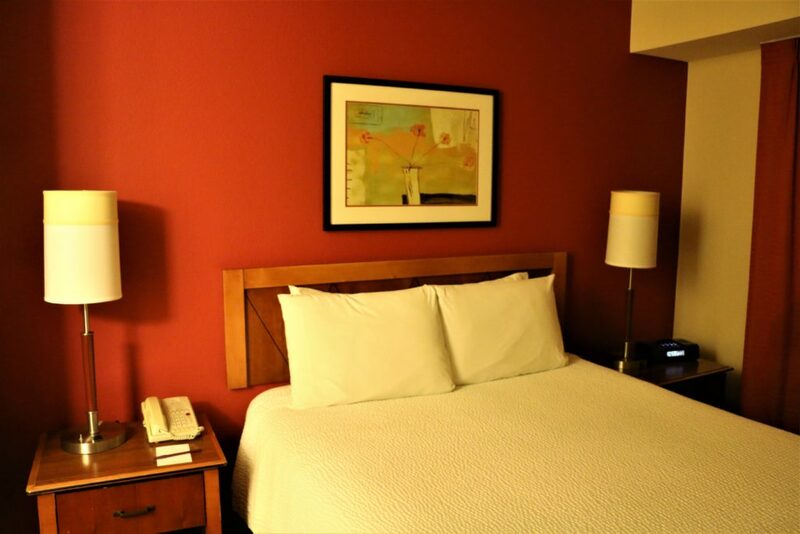 On top of offering an enjoyable stay, the hotel pleased us with its convenient location. 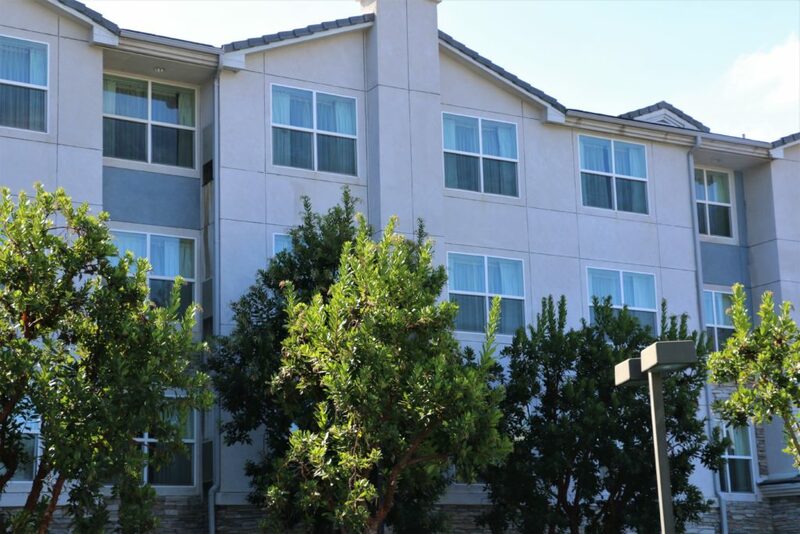 Although Residence Inn is built about 20 miles away from downtime San Diego, it still provides you with an easy access to the famous sightseeing of America’s Finest City. A 15 to 20 minutes’ drive will take you to the most popular San Diego attraction such as SeaWorld, San Diego Zoo, Legoland California, Balboa Park, San Diego State University, downtown, La Jolla and many more. It’s a win-win situation when you can explore the place without being overwhelmed by noise and hustle and bustle of the city. 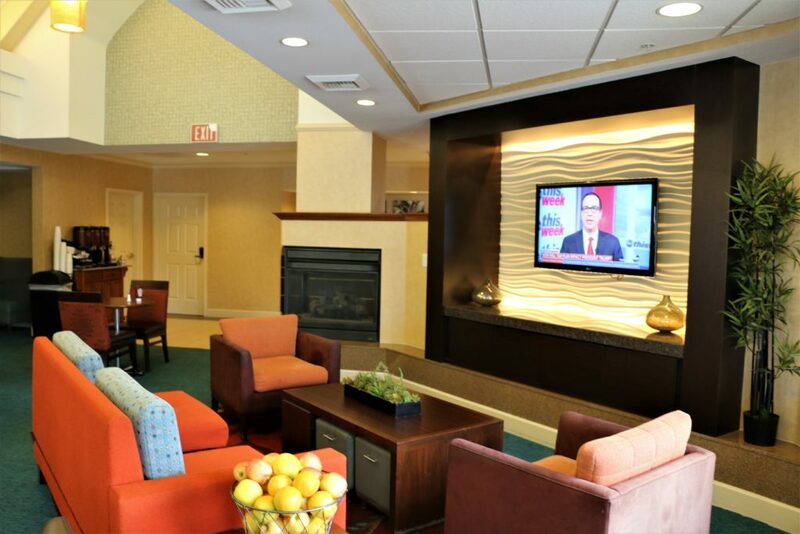 The convenient location, cozy rooms, beautiful lobby and public areas… All in all we enjoyed our stay at Residence Inn Rancho Bernardo and will most certainly be back when we are in San Diego next time. Looks like the perfect place to stay for a quick exploration trip! And it’s SO nice to have a little kitchen area in the rooms so you have the option to eat some meals there and save money! Hope you guys had tons of fun! That’s was a very nice trip, Susie! Oh, thank you very much, Agness! We were very happy with this hotel. To be honest, we didn’t even expect it, but it turned out to be just perfect.